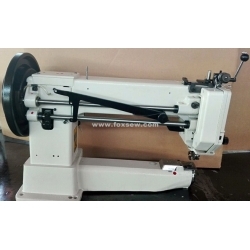 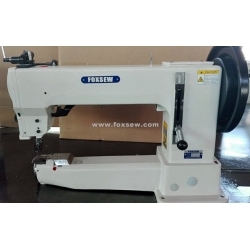 FOXSEW Cylinder Arm Extra Heavy Duty Triple Feed Walking Foot Lockstitch Sewing Machine for Leather Upholstery and Sling Webbings Stitching and Decorative Seaming, for Harness and Automotive Interior Trims, Golf bags, Leather Sofas. 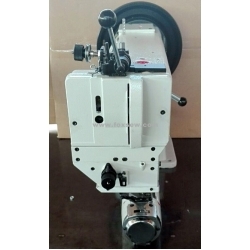 The lift of presser foot is up to 20MM, suitable for sewing the extra heavy-weight materials, movement of presser foot can be infinitely. 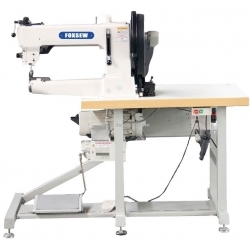 Sewing area can be 420mm, suitable for large, high and cylinder products.